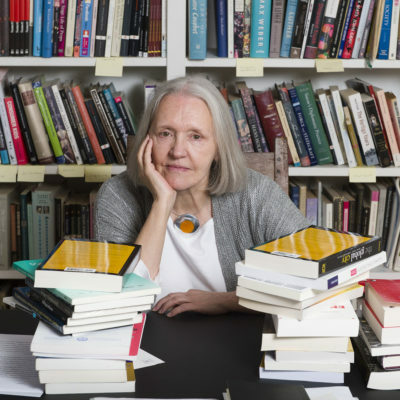 Saskia Sassen is the Robert S. Lynd Professor of Sociology at Columbia University and a Member of its Committee on Global Thought, which she chaired from 2009 till 2015. She is a student of cities, immigration, and states in the world economy, with inequality, gendering and digitization three key variables running though her work. Born in the Netherlands, she grew up in Argentina and Italy, studied in France, was raised in five languages, and began her professional life in the United States. She is the author of eight books and the editor or co-editor of three books. Together, her authored books are translated in over twenty languages. She has received many awards and honors, among them thirteen doctor honoris causa, over 25 named lectures, named one of the hundred women in science, the 2013 Principe de Asturias Prize in the Social Sciences, election as a Foreign Member of the Royal Academy of the Sciences of the Netherlands, and made a Chevalier de l’Ordre des Arts et Lettres by the French government. In each of the four major completed projects that comprise her 30 years of research, Sassen starts with a thesis that posits the unexpected and the counterintuitive in order to cut through established “truths.” These projects engendered four major books and a new major project “An Ethics of the City.” There are also a few smaller books and about 40 academic articles in peer-reviewed journals. In The Global City (Princeton University Press 1991; 2nd ed 2001) her thesis is that the global economy needs very specific territorial insertions, notably in cities. This went against the dominant notion that leading sectors could locate anywhere given digitization. Further, in a counter-intuitive move she posits that this need for well-defined urban insertions is at its sharpest with highly globalized and digitized sectors such as finance –precisely those sectors seen as not needing cities. This went against established notions at the time (the 1980s and 1990s) that the global economy transcended territory and its associated regulatory umbrellas, and that the most advanced sectors would leave cities. At its tightest, her proposition is that global cities are shaped/fed by the rise of intermediation functions at scales and in ways that go well beyond what we saw in earlier phases of capitalism.